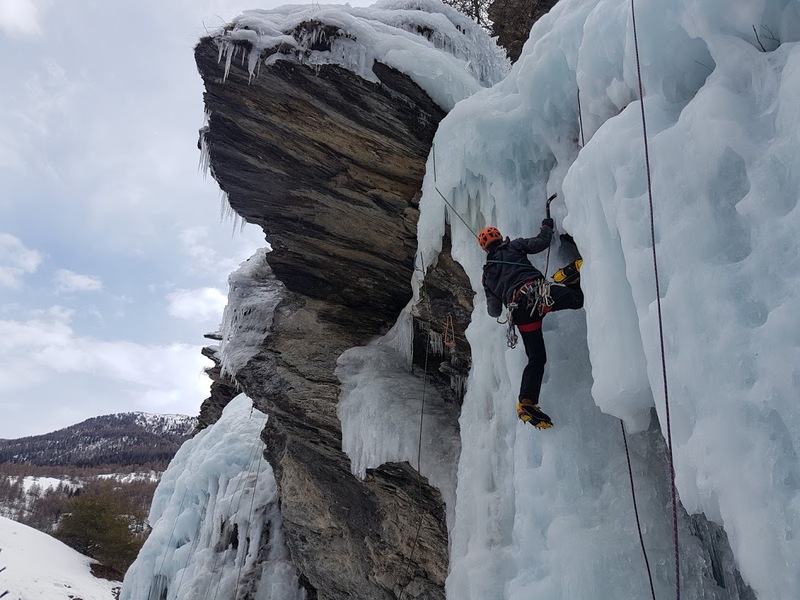 For our last adventure day we decided to go easy on ourselves and following Jerry’s advice we went to check out the artificial outdoors ice wall at Aiguilles. 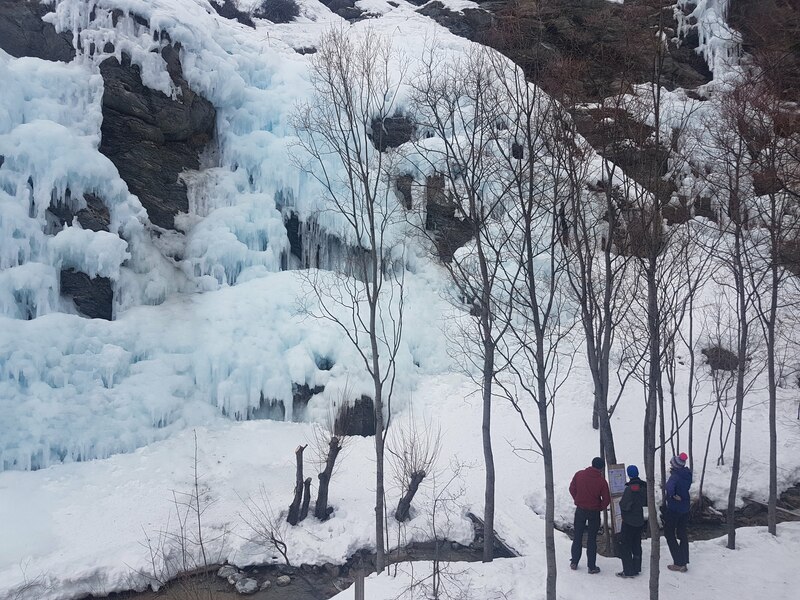 It’s a village around 1 hour drive in where, almost at the center of it the locals installed artificial ice climbing wall. 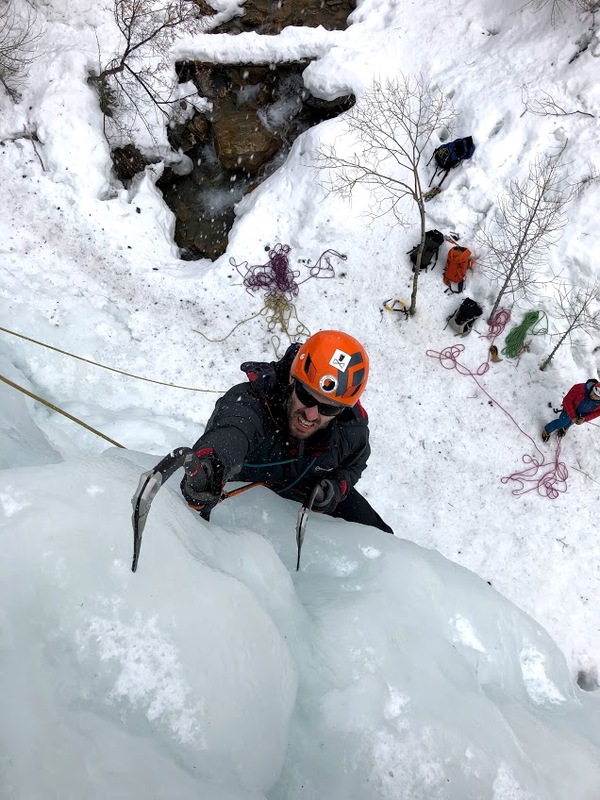 There is no walking, plenty of ice – something for everyone! Remember to purchase 4euro ticket at the local tourist office. The way it is setup is dead simple: there are water hoses installed at the top of the cliffs that sprinkle/drip water. That water freezes, creating all sort of ice formations at different angles. From 90deg vertical walls to less steep, more beginner friendly lines. The overflow goes directly to the river at the base of the cliff. The wall is around 30 meters tall in it’s highest point. There are 3 or 4 sectors along the river. Room for 20+ people to climb at once. Access is ensured by fixed ropes, but leading is also possible. The tops are equipped with number of bolted anchors for easy setup. Water hoses can be easily moved so you don’t have to get shower with water as you go. Peter on the way up to setup a TR. When we arrived there was already around 10 people climbing on the most far right hand side of the crag, so we ‘claimed’ the middle section. 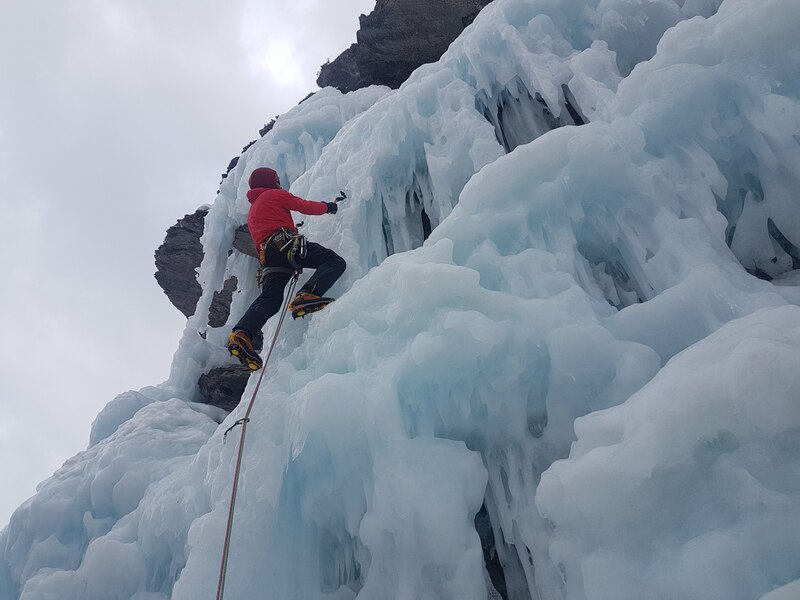 Set up couple of top ropes and picked the most outrageous, steep and overhanging lines we could come up with. After all, it’s top rope – and it’s all about testing the limits. Ronan climbing out of a cave. Around lunch time we relocated to the right hand side sector where friendly locals let use their ropes (while they went out for a lunch break). We quickly clocked in as many laps as we could. Ronan with his famous dropped knee. 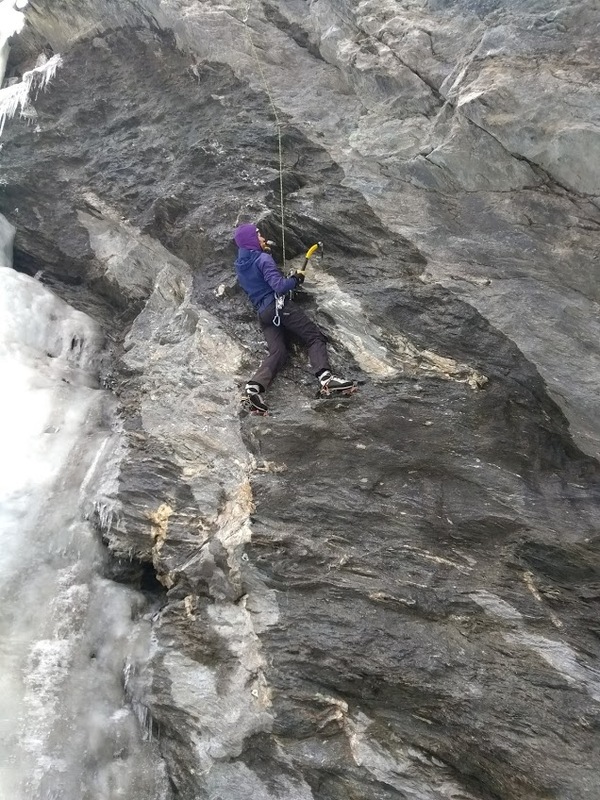 Sarah decided to try one of the bolted dry tooling routes so we quickly tied in and send her off. There are good couple of lines of this type – ranging from M5 to M-VERY_HARD. Peter also gave it a go, sending it to the top with only one break. Not bad for a novice in this kind of discipline. After that the locals got back and we decided to just go home. 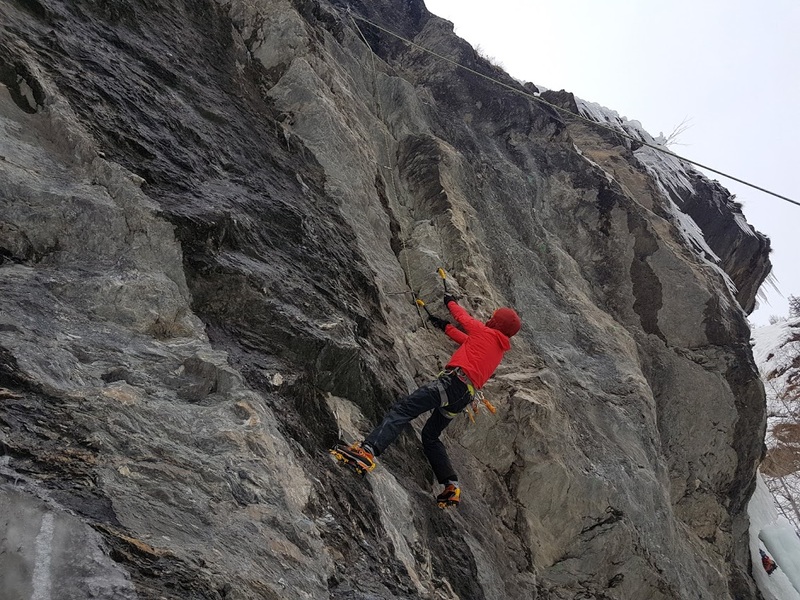 The long week and steep lines of this crag took its toll. We were all wrecked. 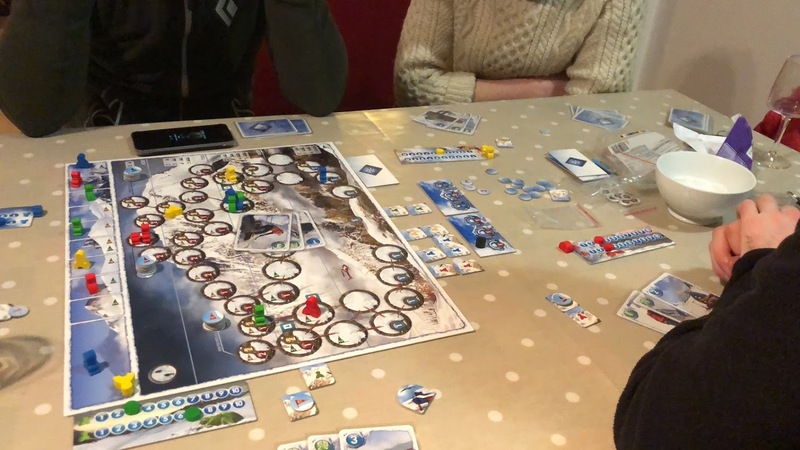 Evening was spend with the final game of K2, the board game, where we were trying to not kill our little climbers… With little to no success this time. One of the many sessions. 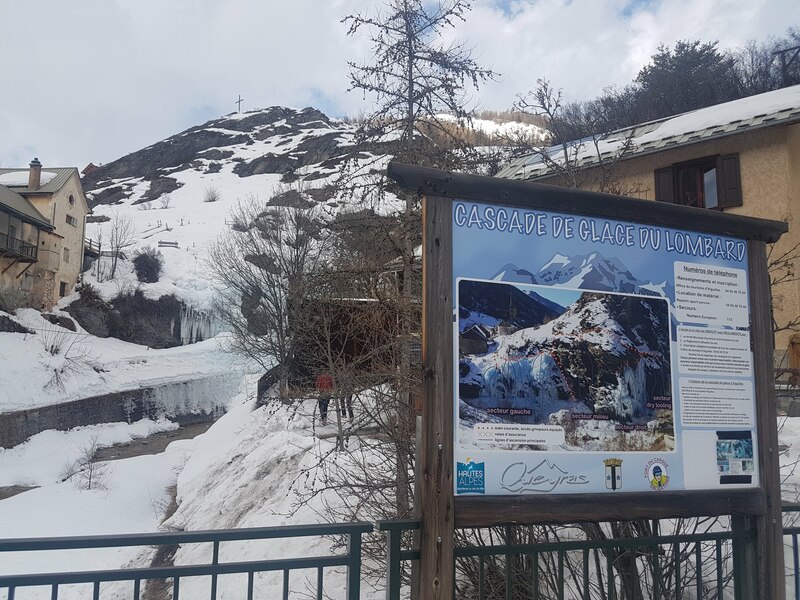 Today Sarah, Ronan and I are flying back to Dublin, while Peter is driving to Chamonix for another week of adventures (skiing this time) with his brother and his friends.